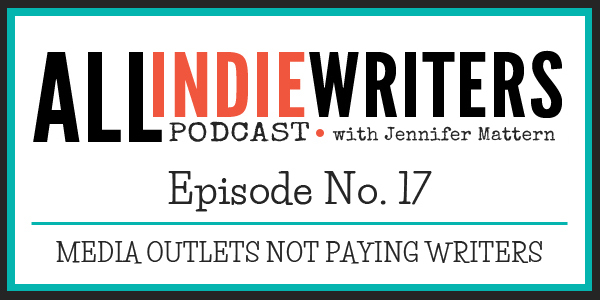 Lori Widmer and I discuss a Huffington Post editor's claim that the outlet is "proud" to not pay its bloggers and that paying writers makes their work less "authentic." Also discussed: content mills, low-paying clients, and why freelance professionals should continue to give a damn and speak out against these practices. Thank you to Lori Widmer of the Words on the Page Blog for co-hosting this re-launch episode, and to John Soares of ProductiveWriters.com for his suggested podcast format changes which are being implemented. The show will now be weekly rather than bi-weekly. More frequent guest hosts will be brought in. As of now, I plan to have guests every other week, alternated with solo episodes where I tackle questions from the community. Episodes will be longer. Most should fall in the 30-60 minute range as opposed to the former 20-30 minute solo episodes. If guest co-host chats run longer than that, I may release a standard cut for the podcast feed and a special extended cut here on the site (this is what will happen with Episode 19 when I'm joined by Princess Jones). More episodes will contain explicit language -- sometimes a lot of it. This is one of those episodes. So if you aren't comfortable with that and you subscribe to the show via iTunes, you might want to unsubscribe. Huffington Post's Stephen Hull basically said the company is proud not to pay all of their writers (specifically their bloggers) and that unpaid content is more "authentic" when the site is accepting advertising. We talk about why these claims are complete BS. A freelancer posted a rant about those complaining about Huffington Post. They essentially said freelancers should stop complaining about HuffPo and just worry about their own work. Questions and points include HuffPo vs writing for free on social media outlets, why freelancers aren't as upset about smaller clients offering low rates, and how HuffPo might compare to content mills / farms that were penalized by Google. We opted not to name the freelancer so the show wouldn't be focused on the person but rather these points and the "authenticity" issue brought up by Hull. 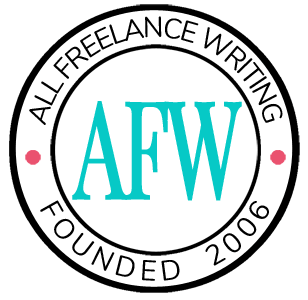 Lori and I review some of the history in the freelance writing community and why this is terrible advice -- why serious freelance pros should give a damn and speak out against companies engaging in these practices, and how so many of us doing that over the years is why things are better for new writers now than they were just 5-10 years ago. We also touch on the issue of freelancers taking criticism of a publication personally as if it's a direct attack on their work (and why that's what really should stop). LinkedIn and HuffPo (and other media outlets) are very different things. One is a publication trying to be seen as a legitimate media outlet, therefore lending you authority. The other is a social network where your writing is a form of vanity publishing done solely for marketing and networking. And the issue of revenue is irrelevant when one relies on that free content for its revenue and the other has other revenue sources (recruiting, paid subscribers, etc.). A business' revenue is irrelevant in another way -- we'd expect smaller businesses to pay contractors, so holding large media outlets to another standard is nonsensical. Speaking of smaller businesses, there was an argument that entrepreneurs are a terrible market to target because they can't afford to hire pros. That's utter BS. Plenty do (Lori and I both have base rates of $150 per hour and routinely have solo entrepreneurs paying that rate happily -- and it often comes to much more on a project basis). If all you can find are $20 per hour gigs from a huge market segment like that, remember the problem is with you, not a lack of markets. You're failing somewhere in your marketing. And rather than dismissing huge market groups, you can fix what's wrong. A post is linked below where I've gone into this issue in more depth in the past on the blog. Don't believe everything you hear from a mentor or coach, such as advice to not target certain client types because they assume those prospects can't afford professional freelance rates (in this case, "entrepreneurs"). First, absolutes and generalizations like that are utter crap. Second, just because someone else can't do something successfully, it doesn't mean you can't. Find a better mentor -- one who has the kind of career you want, targeting the kinds of clients you want to work with. Pull things from them and from other pros. Don't try to emulate the career of a single person. And don't parrot them as though you're qualified to offer that same "advice." As for content mills, remember, freelance professionals did speak up against these. For years. Being vocal and constantly bringing these issues to light is precisely how mills ended up getting penalized by Google. So the people being told to shut up about HuffPo are some of the same ones who helped knock content farms back a few paces. When you don't know the full history of an issue, and how things are better for you now because of that history, you're not in a position to tell pros whether or not they should be speaking up. If anything, Lori and I would love to see real pros speak up far more. Sadly we've lost a lot of strong voices over the years in the freelance writing community, largely replaced by much less-experienced self-professed "experts." In the end, HuffPo is little more than a glorified content mill. They're trading dofollow backlinks for free content (which is a form of rankings manipulation). They're also publishing a lot of duplicate content which is ranking (and sometimes outranking the original) in Google. That's not supposed to happen. There's also a lot of shallow content. In other words, HuffPo has every ingredient of a content mill -- they just masquerade as a single media outlet, while in reality the content mill helps to prop up the real media side of the site. Will they get penalized by Google? Eventually. It might take a while, but I'm calling it -- they'll get slammed by Google in time (just like I said Demand would when people didn't want to hear it years ago). One argument given by another blogger for writing for HuffPo was that they got validation from it (no monetary benefit by the way). You can get validation while you get paid! If someone criticizes a site you write for, stop taking it personally (again, this was something Demand Media writers had a terrible habit of doing). It's not about you. And when you take it personally, and you react publicly trying to justify decisions you have no need to justify, that is when you start making it about you. Most professional freelancers don't care whether or not you choose to work for free. But what we do care about is when people writing for sites like HuffPo think that makes them qualified to offer advice to newer freelancers (what you're doing isn't freelancing any more than writing guest posts qualifies someone to write about freelance blogging). We also care when people go on about things they clearly don't understand (like working with certain market segments when they haven't successfully done so) when what they're saying could affect newer writers -- the people so many of us have worked our asses off to help over the years. Speaking up against plagues in this industry helps many of those new writers -- often the very ones who protest the loudest early on are the ones coming back to thank us later. So getting experienced pros to shut up about it? Not going to happen. Nor should it. As for the authenticity issue brought up by Stephen Hull, total nonsense. A lot of the unpaid work they publish is actually regurgitated from the writer's own site. It's published solely for marketing value (namely those dofollow backlinks for Google rankings manipulation). Anyone who would say that content is more "authentic" than work from a writer who's fairly compensated (and therefore able to invest time into research, conducting interviews, and more thoroughly contemplating the issues they're writing about) is an ignorant fool. Jenn, thank you for continually bringing sanity to the reality.